Today’s post is a quickie. I just wanted to point out that I updated the slideshow in my previous post about asymmetrical Spanish-English correspondences in response to reader F.J.’s very helpful comments. 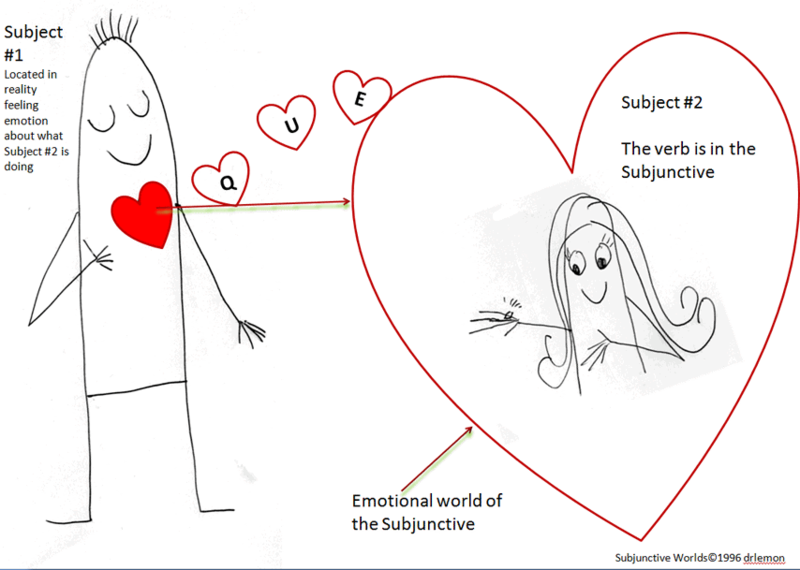 a clarification that the subjuntivo/indicativo difference is, of course, one of mood. adding hacer (“to do” + “to make”) as a third case of a difference present in English but not Spanish. I am kicking myself for not having included this the first time around. Please note that the updated slideshow has a different URL. Perhaps there was a graceful way to update it with the same URL, but I impetuously deleted the old one without checking… I doubt this will inconvenience anyone. This entry was posted in Learning Spanish and tagged contrastive analysis, ese aquel, por para, pretérito imperfecto, saber conocer, ser estar, Spanish, Spanish versus English, subjuntive indicative on 3 August, 2013 by jhochberg. I subscribe to a lively mailing list for language teachers, FLTEACH. In a recent message, a professional translator recommended Kató Lomb’s classic book Polyglot: How I Learn Languages. It’s a fun read, and interesting for its emphasis on the important of reading (for pleasure or work) for language learners at all levels. My favorite passage from the book, which motivated this post, is the following. I’ve highlighted my “most favorite” bit in red. We should learn languages because language is the only thing worth knowing even poorly. If someone knows how to play the violin only a little, he will find that the painful minutes he causes are not in proportion to the possible joy he gains from his playing. The amateur chemist spares himself ridicule only as long as he doesn’t aspire for professional laurels. The man somewhat skilled in medicine will not go far, and if he tries to trade on his knowledge without certification, he will be locked up as a quack doctor. Solely in the world of languages is the amateur of value. Well-intentioned sentences full of mistakes can still build bridges between people. Asking in broken Italian which train we are supposed to board at the Venice railway station is far from useless. Indeed, it is better to do that than to remain uncertain and silent and end up back in Budapest rather than in Milan. Lomb’s observation that “language is the only thing worth knowing even poorly” is amazingly astute. It goes hand-in-hand with what every language teacher knows: it’s important to make mistakes while learning a language, and even more so, to not be afraid of making them. This is why I often tell my students “Me gusta el español malo”. As a language learner, I don’t mind sounding like an idiot when I attempt to communicate in German or another language that I barely know. Depending on one’s personality it can be hard to be fearless — but one must always try! 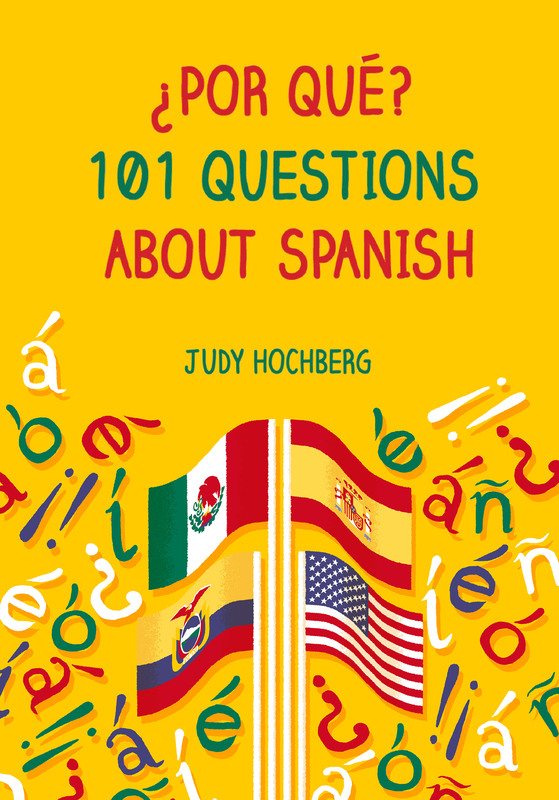 This entry was posted in Learning Spanish, Uncategorized on 16 July, 2013 by jhochberg. My mama cuchara is about 2 feet long and usually contains soup, not a tree. This precious list was a parting present from a professor at the Universidad Complutense de Madrid, where I took summer classes about six years ago. She explained that for advanced non-native speakers like us (many of whom were Spanish teachers), the best way to keep improving our Spanish when we got home was to read for pleasure. The idea is that if you get absorbed in a story, your fluency will increase naturally. I love this approach because it combines two of my deepest passions: Spanish and light reading. Now I get to read a mystery novel or an adventure story and count it as “professional development”. Not in any formal sense, of course (hence the ironic quotation marks), but enough to feel that I’m using my time productively. Sometimes I read like a student, looking up new words and even making flashcards for them. But usually I “just” read. Hubo un silencio del otro lado, como si Kloster ya tuviera el presentimiento correcto y se preparase a jugar una partida diferente. Perhaps a native speaker who reads this blog can suggest an intuitive explanation for the author’s choices here. One of my professor’s top recommendations was the wildly popular Capitán Alatriste series by Arturo Pérez-Reverte. These books feature a down-on-his-luck Golden Age swashbuckler with a knack for inserting himself into important historical events (like the siege of Breda) à la Forrest Gump and palling around with notable writers like Francisco de Quevedo. 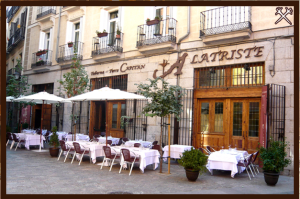 The series has spawned a restaurant in Madrid and a [by all accounts mediocre] film starring Viggo Mortensen, whose fluent Spanish comes from a childhood in Argentina. My favorite book so far by Pérez-Reverte, El maestro de esgrima, isn’t from the Alatriste series. It’s a complicated story involving the titular fencing teacher, an unusual student, and a blackmail plot. What fun! This entry was posted in Learning Spanish and tagged Capitan Alatriste, Guillermo Martínez, imperfect subjunctive, Pérez-Reverte, Spanish, Spanish popular fiction, Spanish reading list on 8 July, 2013 by jhochberg. In my experience, many Spanish students are surprised at how hard they have to work to make substantial progress in the language. I think they initially assume that Spanish is easy to learn because its spelling is more or less phonetic, and its pronunciation relatively easy (except for the rolled r). This certainly gives the Spanish student an advantage at first over someone studying, say, French. But as one’s studies progress, the complexities of Spanish verbs and pronouns can be a rude awakening. This entry was posted in Learning Spanish and tagged Spanish on 30 March, 2013 by jhochberg.